The anchor in the novel, Annie Torrent, is a contemporary Vancouverite disappointed with the ways in which her life has followed a conventional woman’s heterosexual plotline. She becomes obsessed with a little-known historical figure, Mrs. Richards, a widowed British woman who emigrated to Vancouver in the late 1800s. Annie determines to tell this woman’s unknown story. This telling is mostly directed at Annie’s mother Ina, at whom Annie is angry, perhaps most of all for the ways in which she begins to see their lives overlapping; like Ina, Annie is “in the midst of freedom yet not free.” She realizes the life she is living, married with children to her former history professor Richard—whose name of course echoes Mrs. Richards’s name, which is the rem(a)inder of her deceased husband—is unfulfilling but she struggles to build a path that might lead out of it. Luckily, Annie meets Zoe, an artist, in the archives while doing research for her project. Zoe becomes her first reader, challenging Annie both about her feminist politics as well as sexually. When near the end of the novel Zoe provocatively asks Annie what she wants, Annie boldly answers: “you. i want you. and me. together.” The end of Annie’s story in the novel, then, is only her lesbian beginning. Telling the life stories of Annie, her mother Ina, and Mrs. Richards, Marlatt creates an alternative queer feminist discourse that refuses to be tied down into either a linear narrative or conclusive characterization. Indeed, although there are distinctions made between the three main characters, their identities are also necessarily blurred, in the same way that the novel refuses to draw boundaries between prose and poetry and between fiction and history. At one point, Ina accuses her daughter: “the trouble with you, Annie, is that you want to tell a story, no matter how much history you keep throwing at me.” This profoundly poetic novel insists, however, that history is nothing but men’s stories made fact and that women need to dismantle the fiction/fact dichotomy and “mak[e] fresh tracks” with their own stories in the snowy landscape of the past. Women writing their stories, as Annie does for Mrs. Richards and Marlatt does for Annie (and perhaps herself? ), is the “body insisting itself in the words.” If you can look at the words of this novel as a woman’s body—that delightful and frightening unruly femaleness—then the sometimes bewildering experience of sifting through Ana Historic can become a delightfully ecstatic one. 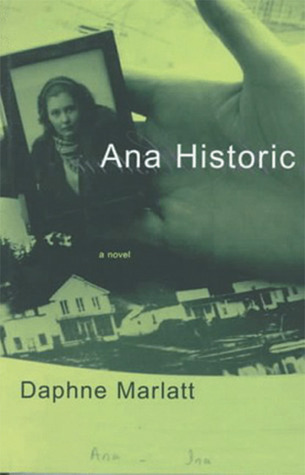 There is an enormous amount of life in this novel; Marlatt presents us with the vivid image that books are “breath bated between two plastic covers.” Marlatt’s writing is certainly life and breath captured on the page, and she was recently recognized for her work with the George Leacock lifetime achievement award for a B.C. writer. I’d encourage any reader to challenge herself to mingle her breath with the prolific Marlatt’s by picking up Ana Historic. 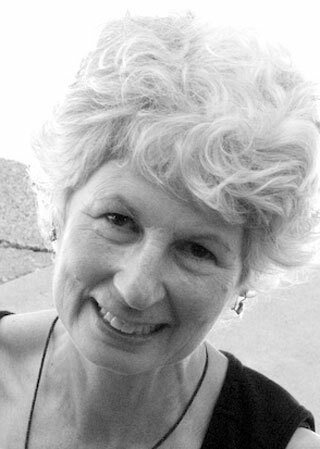 This entry was posted in Canadian, Daphne Marlatt, Fiction, Lesbian, Poetry, Queer, Vancouver and tagged Book Review, books, Canadian, Canadian Literature, Feminist, House of Anansi, Lesbian Fiction, literature. Bookmark the permalink.